Claremorris Town Hall Studio is a warm and intimate 100-seat space with good acoustics. 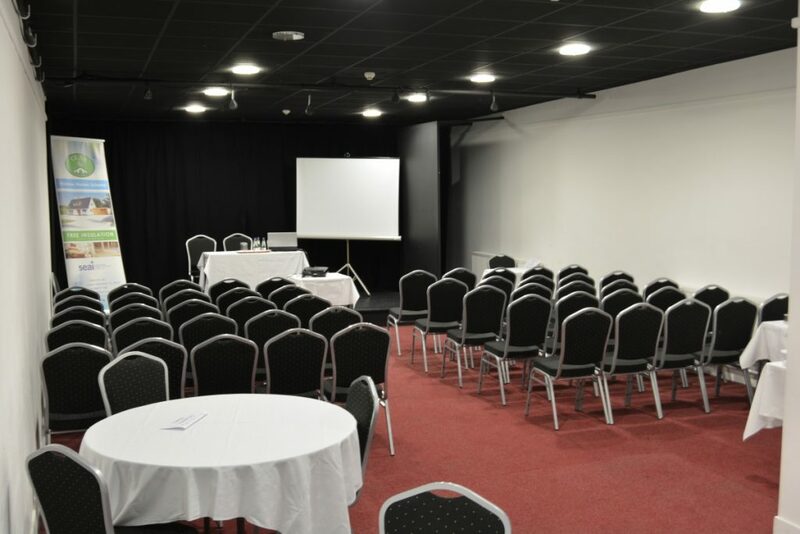 It is ideal for live events, meetings, exhibitions, workshops and demonstrations. The space has a demountable stage measuring 4.88 mts (16 feet) by 2.44 mts (8 feet) with black curtain sides and back wall, with a small backstage area behind. The Studio has very flexible lighting and systems and can be ‘blacked-out’ for film shows or slide-based presentations.